Starting with cheap accommodation, quality travel services, tasty meals up to corporate meetings and team-building sessions, are all to be held at Select Villa in Predeal, in Brasov. Ursuletul Pension in Predeal provides the comfort of a 3 star hotel, built in Tirolese style. 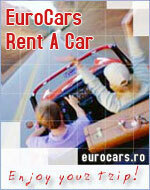 It is a suitable choice for lovely mountain vacation in Romania or for business meetings. In Predeal, one of the most attractive mountain resorts in Romania, is to be found this lovely guest house Casa Ardeleana classified at 3 hotel stars, overlooking imposing Bucegi Mountains.